Consumers love products that in one way or another help the environment. This demand for ‘green’ products and services has not gone unnoticed by corporate America. Environmental conservation has played a major role in reshaping the corporate landscape of America since the late 1960’s onward as environmental policy reform began gaining popularity. This support for decreasing pollution and unnecessary waste has translated into a series of laws regulating the American business sector. When laws such as the Clean Air Act (1970) and the Toxic Substances Control Act (TSCA 1976) were passed, companies have been held to a much higher standard with regards to their pollution and carbon emissions. The environmental regulations have not only changed how businesses operate, they have also changed how businesses market themselves. You may have heard the term green marketing before. 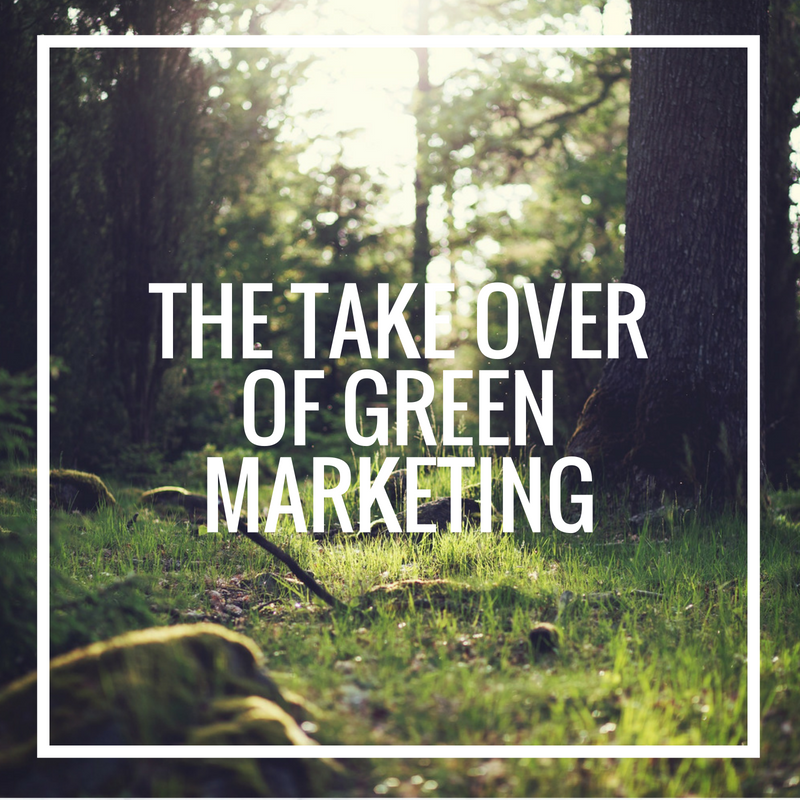 If you have not heard the term, you have certainly still been exposed to green marketing. Environmentally responsible or ‘green’ marketing is a marketing campaigns that highlights the superior environmental protection characteristics of a company’s products and services. The goal of green marketing is to position the brand in a positive light. When the public image of a company invokes a feeling of environmental stewardship it creates a stronger value proposition that ultimately increases sales. These results have been demonstrated in businesses across all industries. According to the 2012 Cone Green Gap Trend Tracker, 69% of Americans take the environment into consideration when making choices about what products or services to buy. According to a Harvard Business School study published in 2011 that surveyed 180 U.S. companies, the businesses classified as “high sustainability,” or those that had voluntarily implemented sustainability practices were found to outperform those classified as “low sustainability.” In a 2013 Nielsen survey of 30,000 consumers across 60 countries, 42% of consumers surveyed in North America said they would pay extra for products made by environmentally sustainable practices, which is a 7% increase from 2011. Businesses have responded to the rise in this “green consumerism,” by developing new marketing campaigns to reflect this new element of consumerism. Companies with products that were created in an environmentally friendly fashion quickly learned to shape their marketing message to highlight such efforts and to reach the target audience of those customers most likely to appreciate those efforts. The trend in companies focusing on adopting environmentally sustainable business practices is driven by an increase in awareness for the role that business plays in contributing to pollution. In the wake of BP oil spill in the Gulf of Mexico along with increasing social awareness about environmental problems, the US Environmental Protection Agency (EPA) started the environmental Greenhouse Gas Reporting Program. The EPA’s GHG reporting program became a law on January 1, 2010. It forces 85% of the nation’s top emitters to report on how much GHG they have emitted. As a result of this legislation, business models are more transparent now than ever before to the American consumer. Social media has given a platform for the otherwise unrepresented voice to speak up on issues with the ability to reach millions of people. This has led to an increase in accountability from public companies and a higher degree of scrutiny from consumers. People want to see that the brands they spend money on have values that align with their values, which includes sustainability. How Do Companies Implement Green Marketing Campaigns? As companies have been rolling out green marketing campaigns, consumers have become more suspicious of claims made by companies touting their conservation efforts. Green advertising claims grew so rapidly during the late 1980s that the Federal Trade Commission had to issue guidelines to help reduce consumer confusion and prevent the false or misleading use of terms such as “recyclable,” “degradable,” and “environmentally friendly” in environmental advertising. The apprehension of consumers to the validity of marketing campaigns is well-founded which makes it increasingly important for companies to market campaigns clearly and effectively. Eco Sponsoring, or affiliating with another environmental conservation or protection organization through a combination of logistical support, cross platform promotion, and financial donations. Another approach is to adopt a particular environmental cause. Sponsorships of educational programs, wildlife refuges, and park or nature area clean-up efforts also communicate concern for environmental issues. Eco Labeling has been used with increasing frequency to convey that their products meet the standards of a third-party agency. Two firms that are involved in such third-party label verification work are Energy Star and Green Seal. The green marketing phenomenon is clearly here to stay with almost 26% of all businesses utilizing some form of marketing to appeal to environmentally conscious individuals. As the market for sustainable goods and services continues to grow, companies will continue to differentiate themselves through creative marketing. One such example is Safe Passage Urns, which plants a tree for every cremation urn it sells. This initiative aims to give people a way to contribute back to the planet during end-of-life transitions while also taking responsibility for the environmental impact of the funeral industry. Many different industries contribute much more pollution than the average person suspects. The funeral industry is no different with regards to its role in carbon emissions. See for yourself what factor contribute to this pollution and what the Safe Passage Urn’s Green Tree Program is doing to counteract this pollution. With the arms race for more environmentally sustainable businesses underway, we can expect to see more companies, both big and small, seek to operate business in a more environmentally conscious way. If businesses can increase revenue while also practicing environmentally sustainable practices, it really is a win-win situation for everybody. The motor that continues to power this trend is the consumer. Remember that when shopping. Every time you spend money, you influence the direction a business takes in order to appease the consumer. Let’s help steer the private sector to environmental conservation by shopping with companies that take part in the conservation of our planet.